You will love this new charming 3-bedroom penthouse in Berlin, Charlottenburg-Wilmersdorf borough. The penthouse is located on the 6th floor. There are 3 bright rooms, a spacious living room, dining room, and a dining room. Also, the property includes a garage and terrace. Additional features: A high-quality parquet floor with heating; triple-glazed windows;ceiling height from 3 to 4 meters; elite Villeroy & Boch plumbing; a common garden with and a playground; guest bathroom. The penthouse has an excellent location in the intersection of Witzlebenstraße and Kaiserdamm. There is a large number of different boutiques, supermarkets, restaurants and cultural institutions nearby. The Charlottenburg district is one of the most beautiful districts of Berlin. Here you can find many old magnificent houses with high ceilings, beautiful entrances, laid out paths, carved doors, spacious balconies, and facades with stucco molding. The main attraction of the area is the Charlottenburg Castle where a lot of exhibitions are held. Also here are the Charlottenburg Town Hall, the Schiller Theater, and the German Opera. In Charlottenburg is the Kurfürstendamm Boulevard that is famous for its boutiques and restaurants. 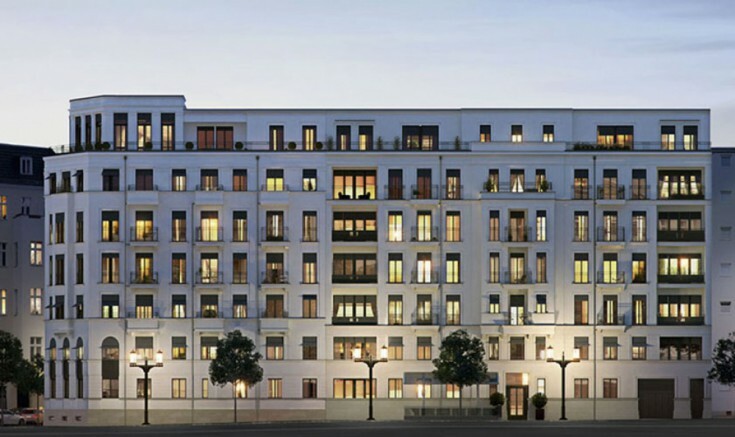 Do not miss a unique opportunity to have a 3-bedroom penthouse in Berlin!